Your phone can already handle a lot: Email, text messages, web-browsing, music-playing, picture-taking, and more. But did you know it can also serve as your personal stylist, helping you organize your wardrobe and dress appropriately for a wide variety of situations? Here are three apps that can help you look your best, whether you’re meeting with the CEO or taking clients out for a night on the town. 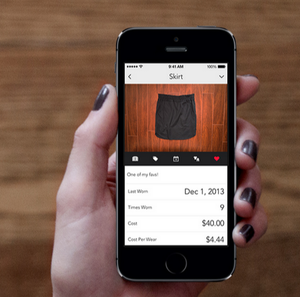 Closet+ will let you know just how much value you’re getting out of your clothes. Like all of the apps I tested, Closet+ requires that you invest a fair amount of time in setup. 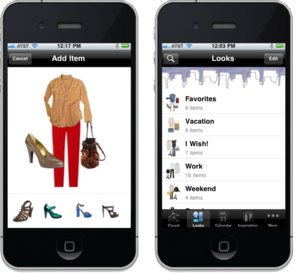 You have to snap photos and categorize the clothes you’d like to manage with this free iOS app. Depending on the size of your wardrobe, this could take minutes–or hours. This is where an actual stylist would make things a whole lot easier, but an actual stylist is also a whole lot more expensive. For the price, Closet+ delivers. It lets you categorize clothes by individual piece or entire outfits, and truly creates a digital version of your closet. You can note how much an item cost and note every time you wear it. I like how Closet+ automatically calculates the cost per wear based on this, so you can see whether that super-pricey suit was worth the investment. You also can use the calendar to plan upcoming outfits, a nice feature if you’re looking to avoid duplication, and you can create packing lists for upcoming trips. Closet+ is free, but ad-supported. The ads are a bit annoying, even though they take up just a small amount of screen space across the bottom of your phone. I also wish Closet+ offered more advice on certain outfits, and let you share information via social networks. Stylicious includes plenty of suggested items that you might like to add to your current wardrobe. For a little more guidance in the style department, Stylicious has you covered. This free, easy-to-use Android and iOS app helps you organize your closet but also delivers tips from stylists on how to create new looks. 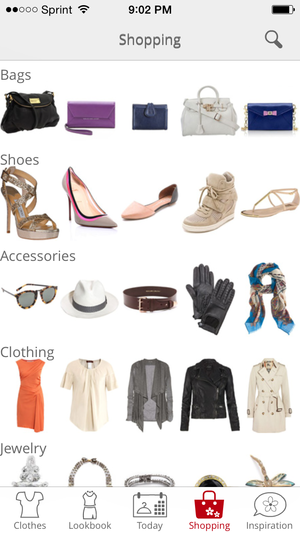 Like Closet+, Stylicious lets you snap photos of your clothes and sort them by category and subcategory. You can create outfits from the photos and use the calendar to assign dates to wear them. I wish it were a bit easier to rotate photos, as Stylicious displayed some of my pants and tops the wrong way, making it hard to visualize an outfit. Stylicious also makes it easy to buy some new duds, as the app includes plenty of links for online shopping. I like that you can browse items from within the app. Once you click on an item you like, it takes you to that site to complete the purchase. I also like Stylicious’s “Inspiration” feature, which highlights an outfit of the day and offers tips for clothes shopping. It’s not the same thing as a personal stylist, but it’s a fun way to find new fashions. Stylicious isn’t the most serious of style apps, but it can still help you look your best at work–and at play. Stylebook lets you crop your images so you can see your clothing as it might look in an outfit. Unlike Closet+ and Stylicious, Stylebook isn’t free. This iOS-only app costs $4, but for that price it packs in more organizational features than the free apps. You can use Stylebook to create a digital version of your closet, adding photos of your clothes and categorizing them for organization. You also can add clothing images from stores or brands, which allows you to view how they’ll mix with your current items. Unfortunately, that doesn’t mean you can see how those items will look on you, but Stylebook can’t do everything, right? It can help you track items by location–whether it’s in the laundry or at the cleaners or out on loan–and includes a price and cost-per-wear calculator like Closet+. It includes style advice, including an inspiration library and expert advice on choosing clothing, taking care of it, and tailoring it. You also can use Stylebook to save your measurements and the sizes you buy in your favorite brands. I especially like Stylebook’s “Style Stats” feature, which can show you the total number of items in your closet and their value–a number that might surprise you! It shows you your most- and least-worn items, the number of outfit combinations you’ve created, and the average items you used for each one–which can be helpful if you’re packing for a trip. Stylebook isn’t for everyone, but true clothes hounds and anyone with a desire to completely organize their wardrobe will appreciate all that it offers.